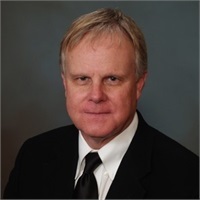 Allen E. Zettergren is the senior financial professional with Zettergren Financial Group. He holds the Series 6 and 63. Al is life and health insurance licensed in the states of Tennesseee, Mississippi, Arkansas, Kentucky, Florida and Georgia. Al has been practicing since 1975. He enjoys spending time with his wife of 37 years, Bettye Zettergren, and his two children and three grandchildren. He also enjoys spending a lot of free time on the golf course and traveling.